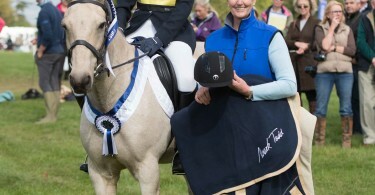 The course runs clockwise this year and, after a couple of straightforward jumping efforts to help them establish their rhythm and their gallop – the Voltaire Design Saddle Rack, the Caviera Table and the new palisade and ditch at the Equitrek Endeavour fence – the CCI competitors face their first combination at fence 4ab, the imposing Cotswold Life Stone Tables. The track takes a new route towards Blenheim’s picturesque first water crossing through the trees, where riders must throttle back their speed to tackle two big carts – the Initiative Challenge Timber Wagons. Now really into the flow of the course, the next question after galloping through the lake is the Shires Equestrian Wooden Hollow at 7abc. This combination of two tables either side of a ditch coming out of trees will test precision, boldness and the horse’s adjustability. Fence 8, the John Sankey Furniture Table, is something of a breather before 9ab, the Silk & Stem Flower Pots on the twin mounds five strides apart at the highest point of the course. Fences 10 and 11, the Watson Fuel Log Pile and the Gatehouse Stick Pile, are impressive in size but shouldn’t pose a problem to competitors at this level. The next question, the Kent & Masters Brush Corners at 12ab, is new in this location above the lake, and is a real test of accuracy. “These will be influential, and this is the most intense part of the track,” says Eric Winter. A huge crowd is bound to gather to watch the JCB Water Splash at 13ab – a double of brush “waves” into water, with the first one more acutely angled than before – and the Anniversary Steps at 14ab, named to celebrate the 25th anniversary of Blenheim Palace International Horse Trials. The upright Kubota Rails at 15 need respect, while the Rowan Barbary Leap of Faith at 16 is an entirely new ditch and stone wall fence. 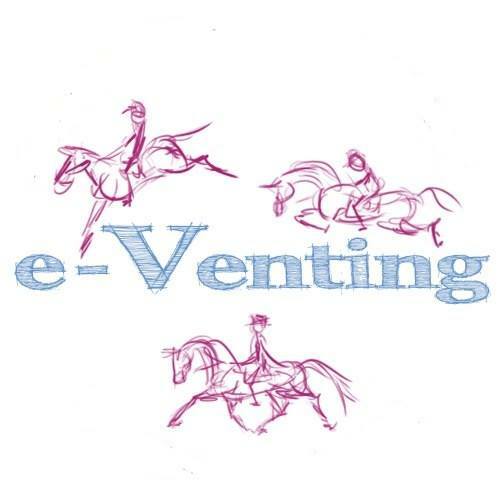 The Cheltenham Annual Members’ Badges are two narrow “shields” cleverly situated on two mounds at fence 17ab. Riders must then gallop through the woods, taking in a huge wooden oxer – the Cub Cadet Ride-on & Push, which may jump best on a slight angle – on their way. 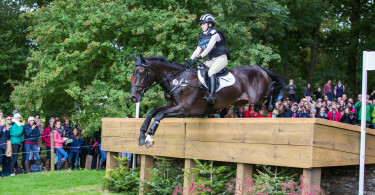 Fence 19 is the Cross Country App Query, while at fence 20, the Clarendon Business Heads, riders must choose one of two narrow stumps with carved “faces” to tackle. 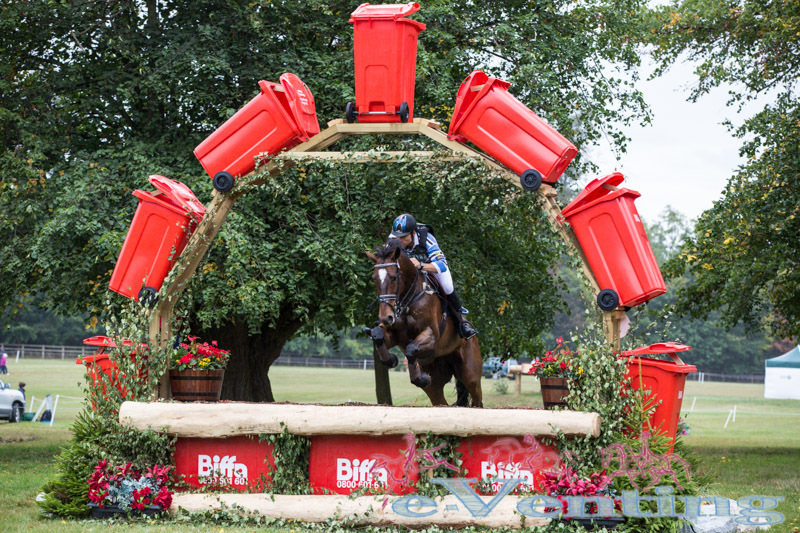 It’s then into the main arena where, to the backdrop of spectators’ cheers, horses are asked to jump the BPIHT 25th Anniversary Hop at 21, the Blenheim Palace Flower Basket at 22 and the British Eventing Boxes at 23ab. The latter, described by Eric Winter as “enormous!” are two white boxes on a curving three-stride arc. The final water complex, the Ariat Dew Pond at 24ab, shows off course-builder David Evans’ exceptional wood carvings with beautifully-made “dragons” to be jumped after the Olympic houses. The Brightwells Flyer at 25 is a real rider-frightener of a ditch and brush but, having tested courage and trust between horse and rider once more, competitors must rebalance and shorten their horses’ strides to jump the Dodson & Horrell Feed Tables at 26ab – there is no room for error here. 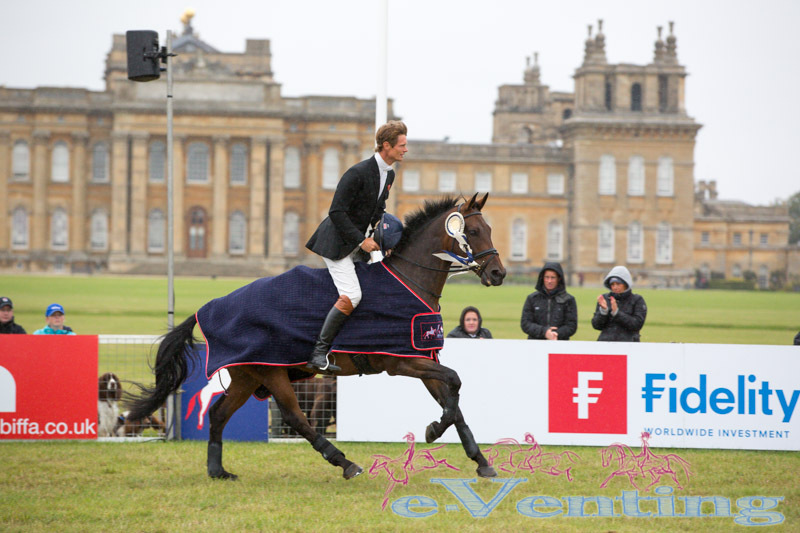 Two fences remain – the SeeSaw, a wooden “see-saw” on a mound sponsored by Blenheim Palace International Horse Trials’ official charity for 2015, the child bereavement charity SeeSaw, at 27, and a carved “saddle” at 28. 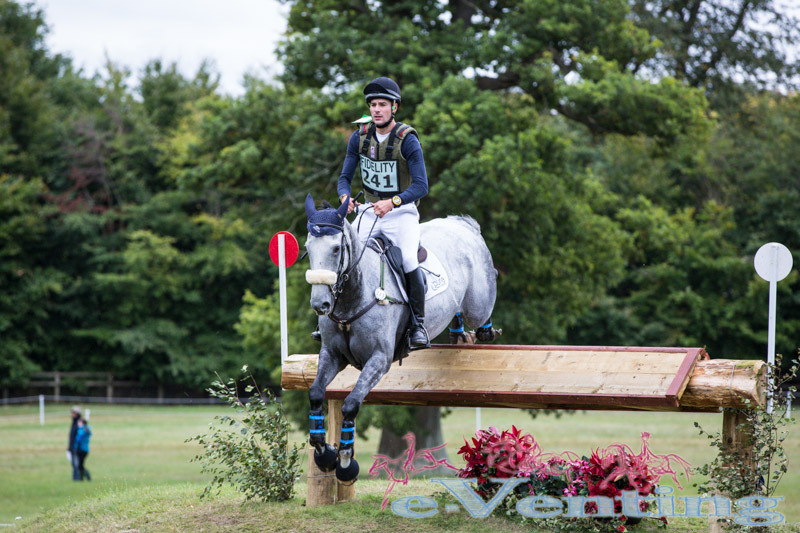 “There is a lot of big jumping to be done and I think the time will be tight – it’s a true test, but I think it is horse-friendly and will give both horse and rider a good experience,” says Eric Winter. The course for the CIC3* for eight-and-nine-year-old horses follows a fairly similar route, but is shorter and has fewer jumping efforts. Visit www.blenheimhorse.co.uk/2015-cross-country-course for more information and pictures. Tickets can be purchased online at www.blenheimhorse.co.uk until midnight before the day you wish to visit the event. Tickets are also available on the gate on arrival, and prices start from £14.